I’ve always been in love with my home town Hamar and the surrounding areas – the Inland of Norway. 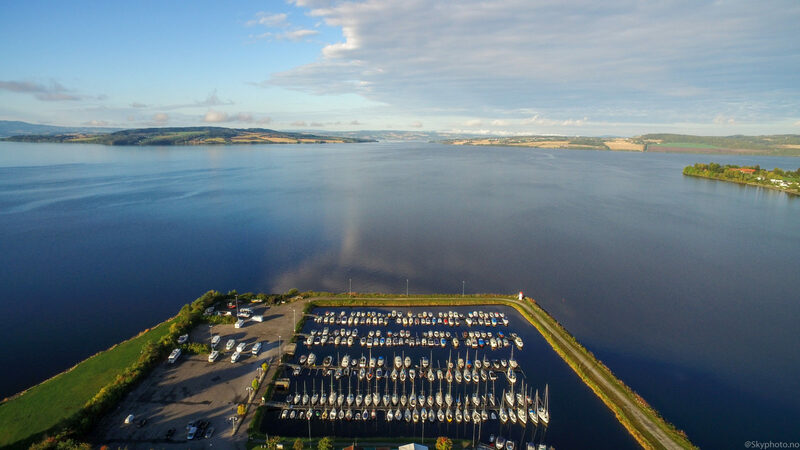 Here’s ten things to do in the Hamar region! Just one hour from Oslo Airport Gardermoen, you’ll find peace and quiet, but also urban qualities with great people, great food, sports and cultural experiences. Visit the historical site Domkirkeodden! An outdoor museum featuring an medieval church covered in protected glass housing. Simply one of the world’s most beautiful museums! More info over at their web. Take a walk by lake Mjøsa from Hamar city centre to historical Domkirkeodden (about 1,5 km), as mentioned in #1. Start from the Koigen beach area, and take a jump from the world’s most famous diving tower! Smell the fresh breeze from lake Mjøsa and enjoy the magnificent scenery. Enjoy a magical night in the trees! The Tree Top Huts offers close encouters with birds and wildlife, eight meters above the ground! Be sure to make the reservation early, as their huts are extremely popular! … and then try climbing in the trees! Helgøya climbing adventure park is 45 minutes from Hamar. Choose between different climbing routes. Great fun and challenges for the whole family! And afterwards, go visit Skafferiet for great local food in rustic surroundings, overlooking lake Mjøsa. If you didn’t have enough climbing at Helgøya, check out the brand new Klatreparken Domkirkeodden just outside the city center of Hamar on your way back (it’s located at the site of Domkirkeodden, mentioned in tips #1)! Go swimming in the Ankerskogen swimming pools! Try the big water slide, enjoy aroma pools and end the session with a hot sauna. Perfect for the whole family, either you are 0 or 80 years old. Visit the Strawberry kiosk and beautiful «Stangelandet» – the Nordic version of Toscana! Remember to stop by Fredheim Gårdsutsalg to pick up local food. Just 10 minutes drive from Hamar city centre. Not tired of shopping afterwards? Make at stop at CC Hamar – the biggest shopping centre in Inland Norway, featuring some really cool architecture, placed at the site of an old ice skating arena! Go to the olympic village of Lillehammer! Just under an hour drive north of Hamar. Got kids? Visit Hunderfossen Adventure Park. Enjoy a great meal at one of Hamar’s many restaurants! Basarene for local food and beer in historic premisies or Nagomi for high class japanese cousin (their chef used to work in Nobu NYC). Or why not try Garage, a tiny and original place for HUGE food experiences! Go cross country skiing! In the winter time that is, from approx November to April. Start from Gåsbu (20 minutes drive from Hamar), about 600 meters above sea level. Or you may continue further into Hedmarksvidda. As you adventure on, stop by the open cabins Lageråkvisla, Steinfjellhytta and Målia. Make sure to check out the great service skisporet.no for a report on the track conditions! Need accomondation in the Hamar Region? Visit Hamarregionen: What to see and do?